Frequency converter is a very important element of industrial systems. For more than 70 years, Lenze has been manufacturing a high quality products that is popular all over the world, converters are no exception. Today, Lenze ac tech produced by the company work in factories around the world. The drive of German manufacturer have already earned a good reputation in work. Lenze fvd systems successfully copes with the most difficult tasks. This series of lenze frequency convertors placed as close as possible to the working lines. There can be installed directly on the motor or be wall-mounted. Devices of this series have small dimensions that allows using them in limited space. 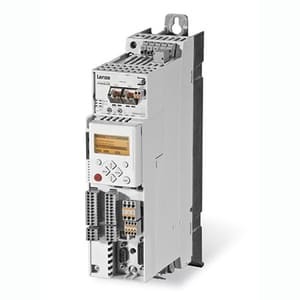 Lenze ac tech drive is also distinguished by their high protection degree, which can significantly increase the service life in harsh production conditions. 8400 protec frequency invertors. Converters with integrated communication system, suitable for wall mounting. 8400 motec frequency inverters. Drives that can perfectly cope with work in conveyors, pumps and ventilation systems. Can be installed both on the motor and on the wall. SMV IP65 frequency inverters. Due to the high degree of protection, it can be used in open spaces. Suitable for use in the food industry. Devices of this type are widely used in the automotive and printing industries. This equipment is used when you need to install the device as close as possible to production. This type of installation allows not to pull cable over long distances. 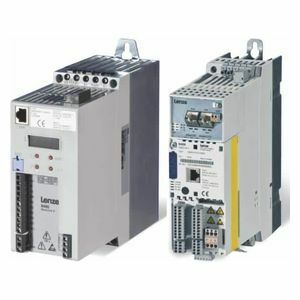 Lenze frequency and Servo Invertors for control cabinet installation. A category of lenze ac tech inverters designed specifically for cabinet installation. This will allow to collect all control systems in one safety place. I900 series servo invertors. These devices are perfect for work in dynamic processes. Suitable for operation in sorting and packaging production lines. Can also be used in robotics. 9400 servo inverters. A series of devices that are suitable for work in industries with continuous material. Equipment are excellent to be used in packaging and textile areas. I 500 frequency converters Lenze. This new development is a universal drive which can be used in a wide range of industries. Appliance is easy to use and has a compact design. 8400 TopLine. Device can work in dynamic systems when high accuracy of control is required. They are able to perfectly interact with synchronous motors. 8400 HighLine. The main task of this equipment type is control. You can set up 15 points to monitoring. Perfect for filling and storage systems. 8400 StateLine. 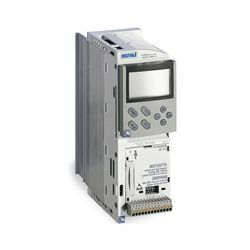 The devices are designed to control the simple functions of the industrial systems. They have their own built-in brake system and energy saving function. 8400 BaseLine. Possess simple setup and commissioning. Can be used in conveyor, pumping or ventilation systems. Motor overload protection is installed. SMVector NEMA 1 IP31. A series of devices with a unique NEMA protection system. Lenze frequency drive of this type can be applied on conveyors or in food production. The company has its offices in more than 60 countries, which allows for timely and high-quality service support. On ELTRA-TRADE website, you will find a wide catalogue of Lenze equipment. Other company products are also represented such as motors and accessories. Call Us today and you can buy products on competitive price.